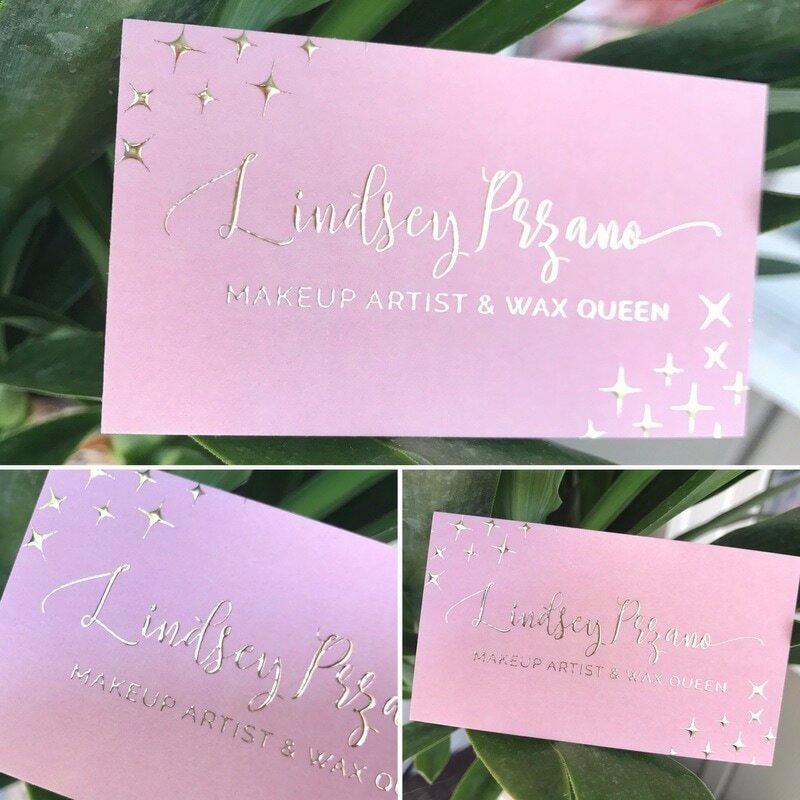 Are you ready to have business cards that truly SHINE? ​NOW is your opportunity. Thru July 21st, we are offering this brand new product for a fabulous price. 250 of these jaw-dropping business cards would normally cost you $175. You can order them today for only $119. Successful entrepreneurs around the globe know that choosing high quality business cards is totally worth the investment! Your branding and business cards are very important to gaining new, long-lasting clients. 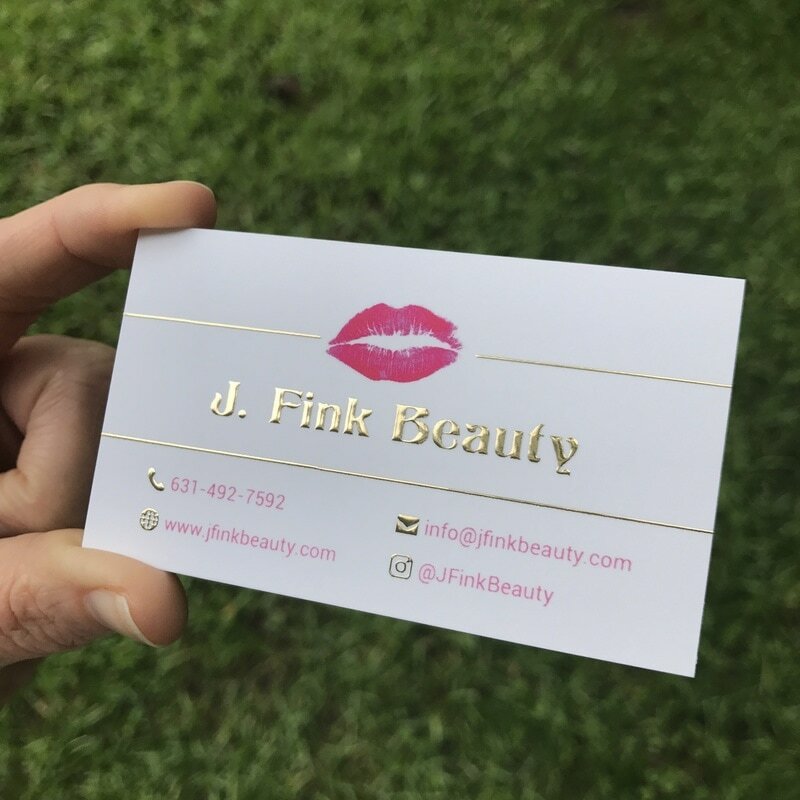 Your business cards should not only provide all your contact information in clear and concise terms, but they should also look and feel nothing short of a m a z i n g. The services you provide are valuable, treasured, and highly sought after. Your business cards should showcase this. Our raised gold foil business cards will help you to do just that. We will work with you one-on-one to create business cards that compliment who you are as a person and as an entrepreneur. Your talent and name deserves to shine!! YOUR CLIENTS WILL LOVE THEM." DON'T MISS OUT ON THE SPECIAL INTRODUCTORY PRICE!!! Submit your design ideas today. Each set of business cards are created from scratch. They can be pretty much any color you can think of and can be personalized however you'd like. Fill out this form below to get started on your new fancy business cards today.